If you’re looking for Pudsey driving instructors then why not try Online School of Motoring? We have a high pass rate for all of our learners and we offer extra learning and intensive courses for those who want to pass quickly. Sessions can be booked individually or for 5 weeks paid in advance. 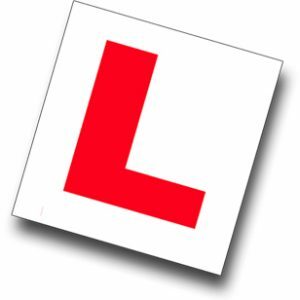 All of our driving instructors in Pudsey are full qualified and offer one to one lessons and tuition, to help our learners get the most out of lessons. OSM have over 10 years experience as driving instructors and most of our learners pass their driving lesson first time. Our Pudsey driving instructors are patient and dedicated to our students success. We understand that every student will learn things at a different pace so our instructors will allow our students to work at a speed suitable for them. Our lessons never have a strict plan so that our students can get the best out of learning with OSM. For all new learners the first lesson you have with our Pudsey driving instructors is half price. We understand that the first lesson can be very difficult, as you begin a new learning experience and need to adjust to the new experience. It can be very hard to adjust to a new car, especially the first one you’ve been in! We all remember our first driving lesson and here at OSM our Pudsey driving instructors try to make the experience as relaxed and simple as possible. Learning in a car with a smaller engine makes it easier to handle the gearing and pedals of the car. The size of a Ford Fiesta allows students to complete maneuvers easily, meaning that they are sure to pass their test easily. We will always go the extra mile to help our students pass their test first time. As a family run driving school, we can relate to our students and encourage their learning. Manual driving lessons are performed in a Ford Fiesta, a light and easy car to handle. All of our cars are fully insured and regularly serviced, to ensure our students safety. We don’t have specific times, we like to find our timetable around your routine, so you know you never have to worry. We also offer unsociable hours if it helps our students to pass their test. Our priority is to help our students pass their test and learn all aspects of driving and safety on the roads. As mentioned, we do offer 5 lesson booking, with lessons lasting between an hour to 2 hours. Click here to have a look at our prices. If you’re interest in booking your first driving lesson (half price) with us, call us today on 0798 965 2388 or fill out our FREE QUOTE form below.